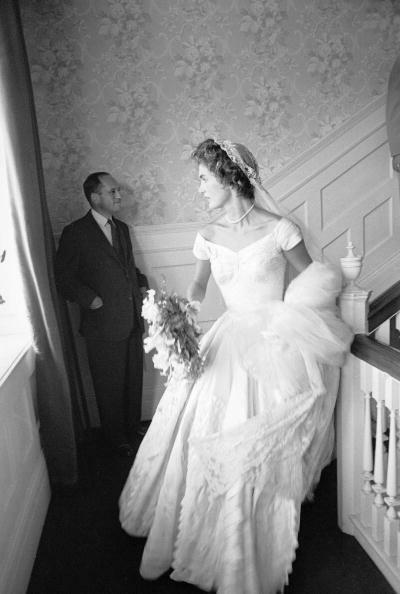 As we reach the height of awards season with the Oscars, it is hard to imagine a time when the designer of a high profile individuals dress is NOT well known, but in 1953 when Jacqueline Onassis married John F. Kennedy, when she was asked who designed her gown she demurred and did not credit her designer’s name in the press. According to the Huffington Post, a fashion columnist from the Washington Post was the only one to properly cite the designer as Ann Lowe. Ann Lowe was born into a family of dressmakers and seamstresses. While still a teenager she began her formal design career by making gowns for socialites in Florida. After attending segregated design courses in New York City, she grew her design house and permanently relocated there where she continued to cater to the social elite. The quality of detail and the creativity of her designs was a well-kept secret hidden among an exclusive list of clientele, and as a result the designer limited her production. Despite the demand, operationally the designer produced at a financial loss and never reached the same levels of profitability as her contemporaries. Her work is part of the permanent collections of the Metropolitan Museum of Art and the Smithsonian’s National Museum of African-American History. For more information on the work of Ann Lowe, click here.